Interaction designers design for everyday life by shaping those human experiences that sit at the intersection of needs [desirability], business goals [viability], and technology [feasibility]. Through highly process-driven research and evaluation methods, the interaction designer focuses on human needs rather than just technological facility. The need for interaction designers to envision new interactive products, systems, services, and spaces has increased exponentially in recent years in virtually all industries. Interactive systems are present in many areas of our daily lives from interactive mobile devices and wearables, to online services and automated systems, from sensor-activated environments to social networks, and to systems that enable a more sustainable future. This design major allows students to bridge offerings between COMD and INDD as well as ISMA. Students can graduate with an orientation towards screen-based practice, or physical interaction. Some students may also be oriented to merging such practices, and may integrate other offerings within Design such as time-based media in Animation and ISMA. 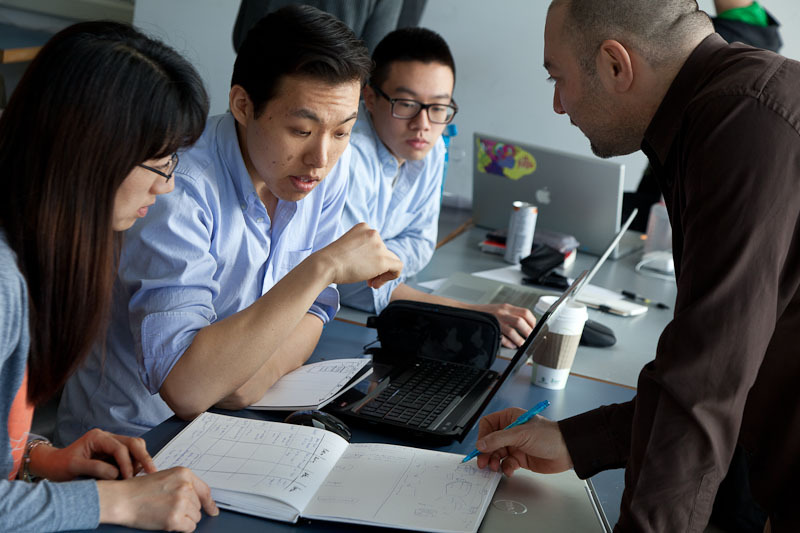 Find degree requirements for the Bachelor of Design in Interaction Design here.